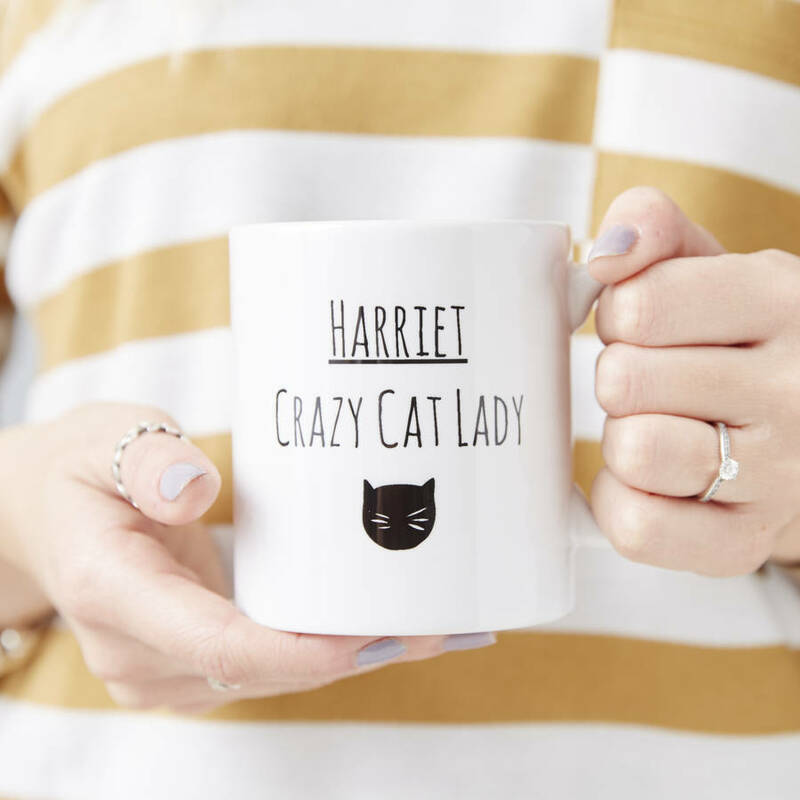 Our Personalised Cat Lady Mug is a must have for any pet lover! Personalise with your chosen details to create a sweet Valentines gift. 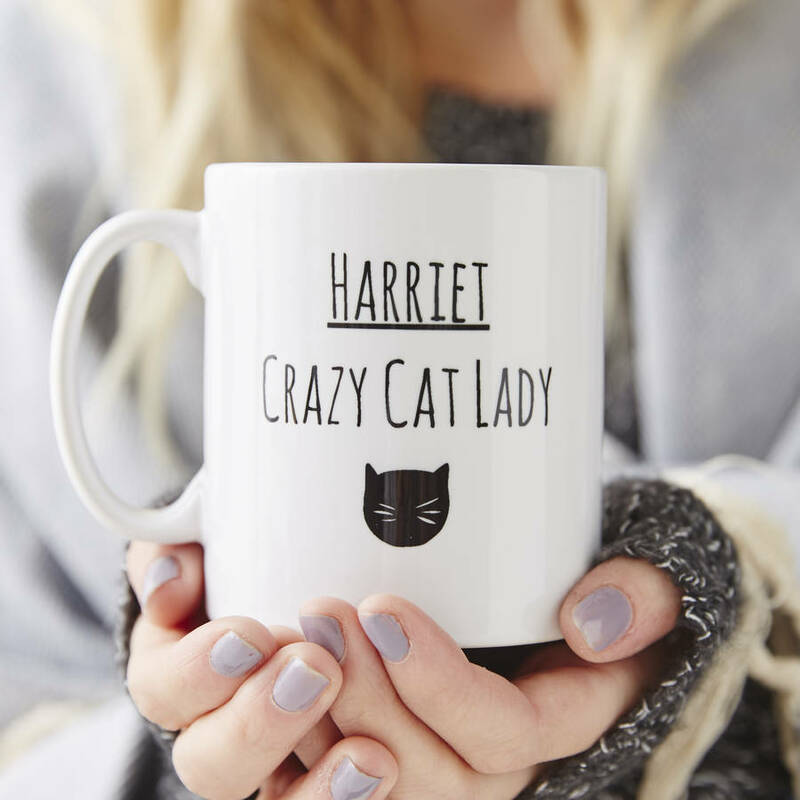 These gorgeous personalised cat lady mugs are made from high quality ceramic and are printed with our fun cat lady design! Free to be personalised to your choosing. A perfect present for any friend, parent or sibling! 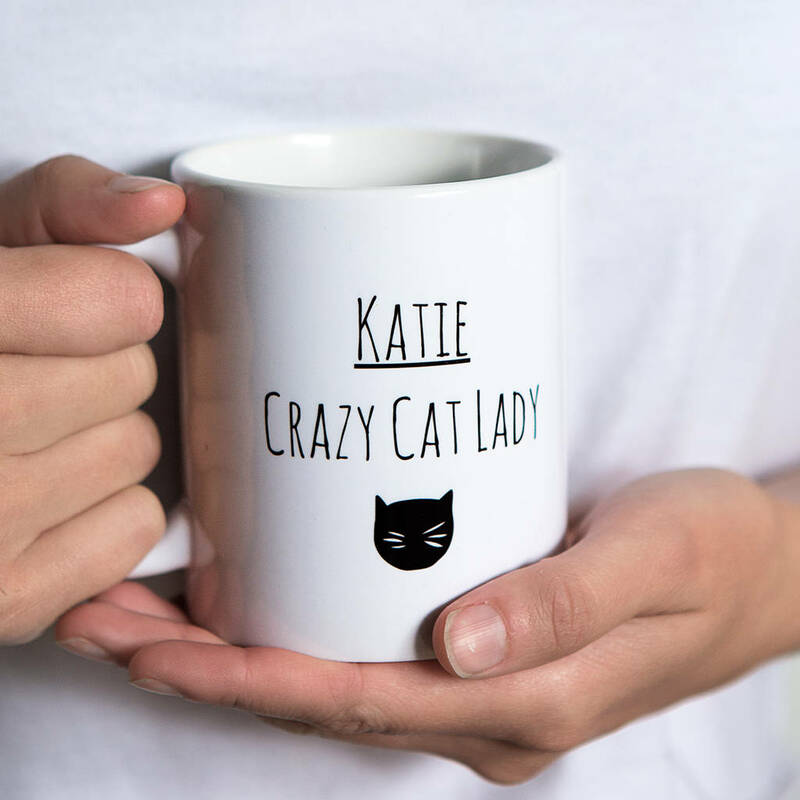 A great gift for that crazy cat lover that you know, sure to make anyone smile. 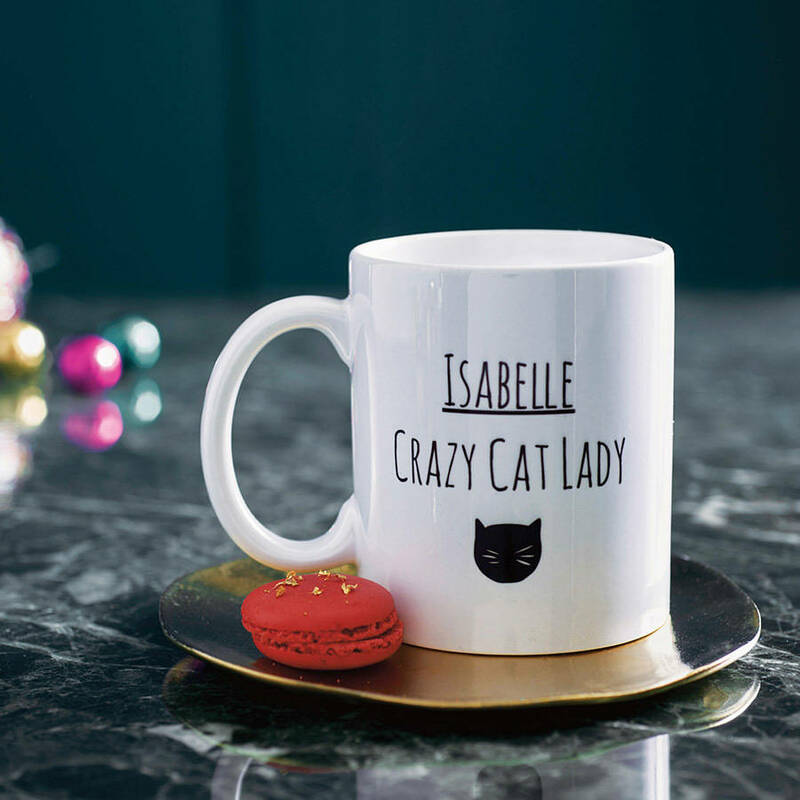 Our personalised ceramic mugs are high quality & built to last. To personalise your mug simply enter your chosen details into the personalisation boxes. We can't wait to create your personalised ceramic mug. Need your personalised mug in a hurry, or looking for a bespoke design? Please do contact us via the 'contact the seller' option and we may be able to help with a quicker turnaround time for you. Our ceramic mugs are dishwasher & Microwave safe.